Instead of a dollop of mustard, this version features sharp cheddar cheese and a scrumptious homemade coleslaw that is made with horseradish mayo. If you do not have a panini grill, just place a heavy pan on the sandwiches to press them on the grill. 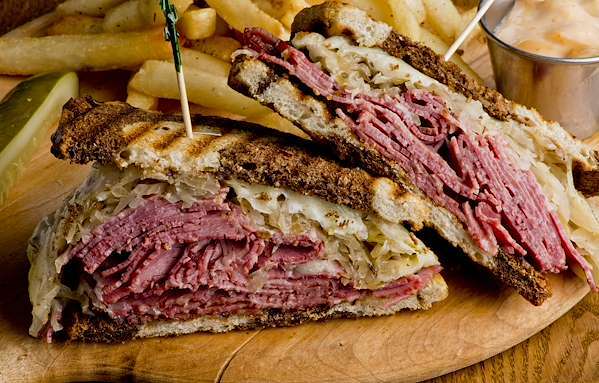 These tasty sandwiches would be an excellent choice for a St. Patrick’s Day menu, complete with your favorite Irish brew! RecipeSavants.com Instead of a dollop of mustard, this version features sharp cheddar cheese and a scrumptious homemade coleslaw that is made with horseradish mayo. If you do not have a panini grill, just place a heavy pan on the sandwiches to press them on the grill. These tasty sandwiches would be an excellent choice for a St. Patrick’s Day menu, complete with your favorite Irish brew! Smart Recipes, American Recipes, Beef,Dairy Recipes, Recipes Beef,Dairy American Classic Corn Beef On Toasted Rye PT20M Serves 4 Ingredients: 8 Slices Rye Bread 8 Slices Sharp Irish Cheddar Cheese 2 Pounds Corned Beef 2 Cups Cabbage 0.5 Cup Carrot 1 Tablespoons Prepared Horseradish 0.25 Cup Butter 0.5 Teaspoon Salt & Ground Black Pepper 0.5 Cup Mayonnaise Preheat the grill or panini press to medium heat. In a bowl, combine the cabbage and carrot. Stir in the prepared horseradish, mayonnaise, and salt & pepper and stir to combine. Spread butter on the outside of all bread slices. 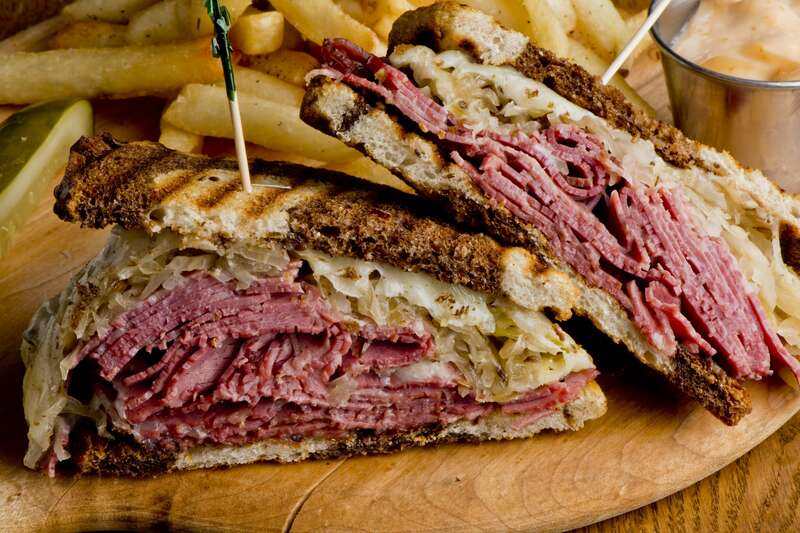 Top bottom slice of bread with cheese slices, followed by corned beef and horseradish slaw. Cover with top bread slice. Press the sandwiches for about 4 minutes. If you are not using a panini press, grill for about 2 minutes per side.